Home Inspection is a objective visual Inspection of the physical structure and systems of a house. Buying a house is one of the biggest investments you will ever make. A Home Inspection may identify the need for major repairs. Home Inspection is NOT just for buyers, but also sellers. The Home Inspection can identify problems in the making and give the seller the opportunity to make the repairs that are needed to make the house in better selling condition. The Inspector will check – structure, foundation, attic, doors, windows, ceilings, floors, exterior, interior, roof, electrical, walls, plumbing, HVAC, insulation and ventilation. When you are considering purchasing a home, you don’t want to buy something that will cost more to repair than the original price. Storm damage, water damage and a variety of other factors can lower the overall worth of a home drastically, but without having a home inspection before you buy, you may never know. Don’t waste your money on your biggest investment and sink your hard earned cash into a home that is only going to end up as a money pit. 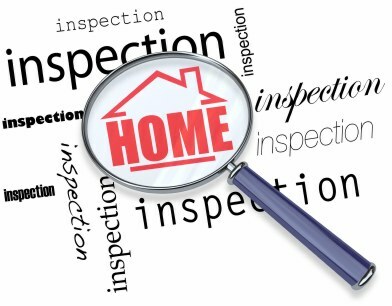 Instead, allow us at Cris Home Inspections help you by performing our proven Home Inspection techniques, in order to ensure that you are getting the absolute most out of your money. Upon first glance, a home may seem perfect, but such is not always the case. At Cris Home Inspections, and we provide a variety of Inspections for your home. We are located in West Palm Beach, FL and have been helping people all over the area that are just like you since 2000. Our Inspectors are able to conduct a variety of different Inspections for you, including 4 Point Inspections, Windstorm Mitigation Inspections, Citizen’s Roof Certificate Inspections and Home Inspections. This allows you to have one source for all your Home Inspection needs. Our professional, friendly staff will be more than willing to answer any questions that you may have. In addition, we will be able to provide you with an estimate for the overall cost of your Home Inspection. A home owner will usually try to sell his or her home for the absolute top dollar that he or she can possibly get. Many times, the home is not worth the money that the original owner is asking. Instead of over-paying on your next home, allow us to help you save money by performing a home inspection and ensuring that not only is the home you are considering safe but the entire structure is secure. Call us today for your next Inspection 561-393-9977 or 954-523-4040.